Back-to-school has got me beat, friends! I’ve been wanting to update my Fall Frenzy pack for the last two weeks, but I just couldn’t get in the spirit of fall! 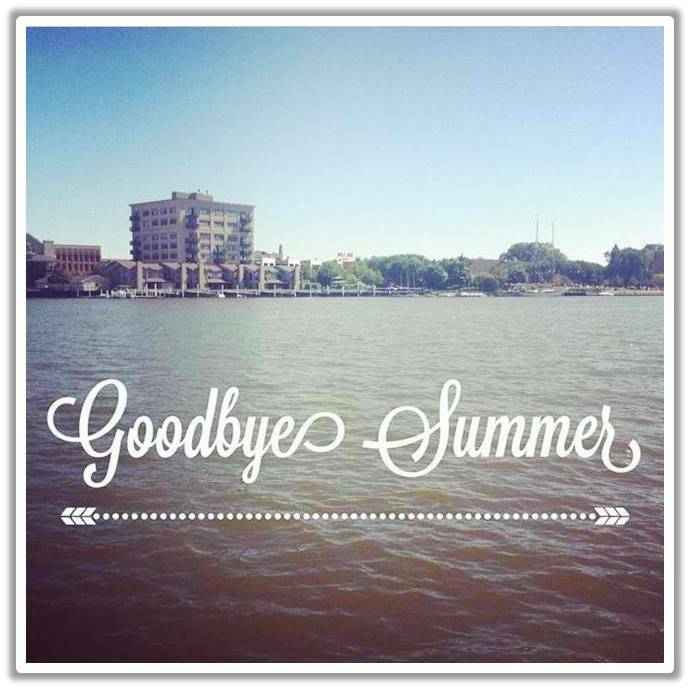 I love summer so much! Last weekend was gorgeous, and we spent what was most likely the last nice day on the boat (insert sad face here). This weekend, on the other hand, has been cloudy and rainy. Perfect weather for me to spend the day inside and finish overhauling my Fall Frenzy pack! It underwent a total facelift, right down to the cover and all! 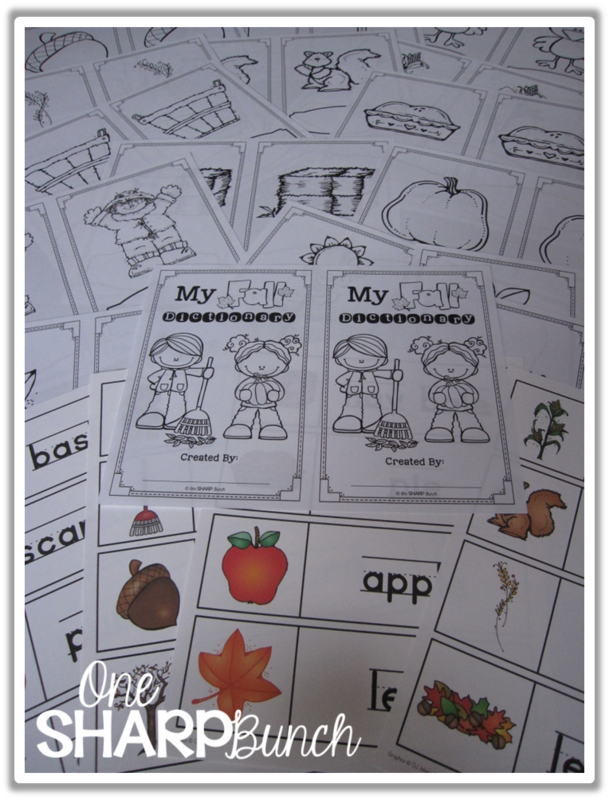 Keep reading for a close up look at some of the activities and a fall freebie! 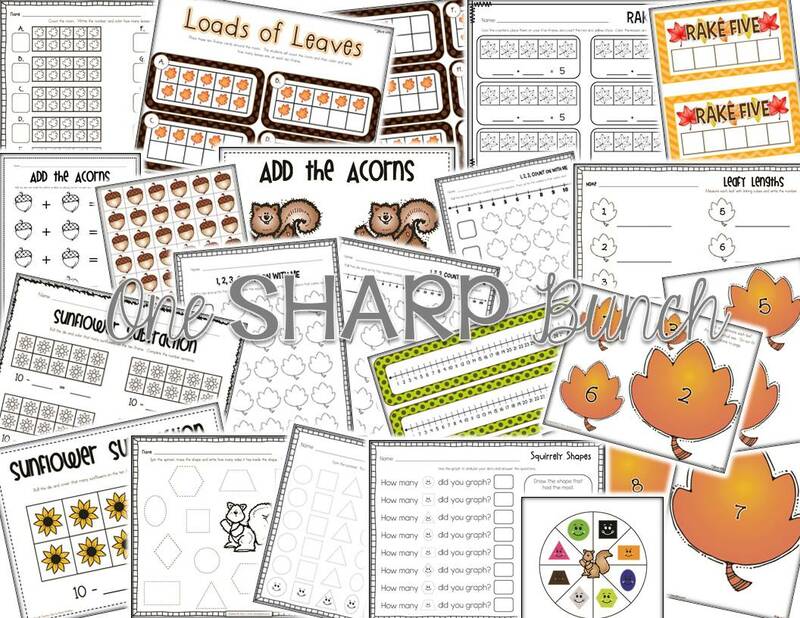 This pack includes seven math centers and response sheets! 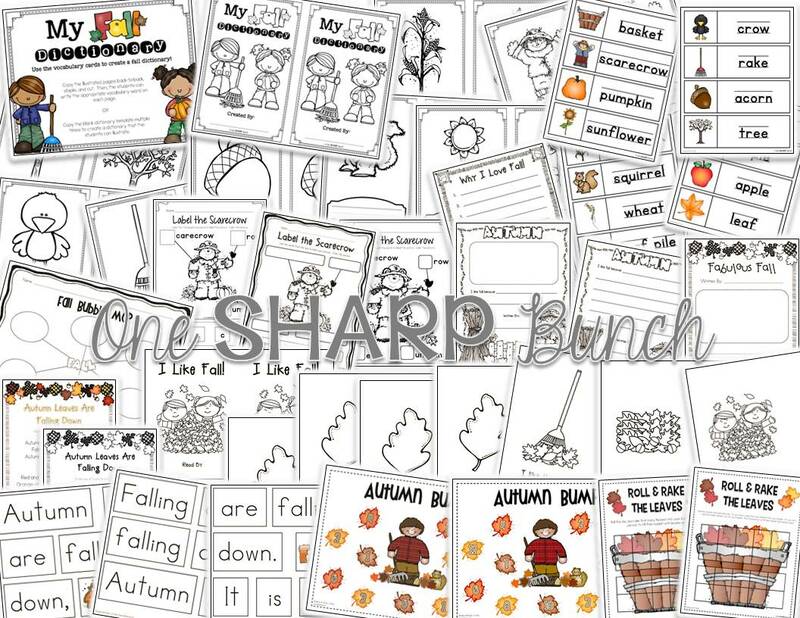 NUMEROUS writing and bonus activities, as well as an emergent reader and poem! Many of the centers can be used without the response sheet, as they include work mats that can be used with manipulatives and/or vis-à-vis markers. Most of the response sheets can be used as standalone printables! Loads of Leaves: Place the ten frame cards around the room, or leave them in the center tub. 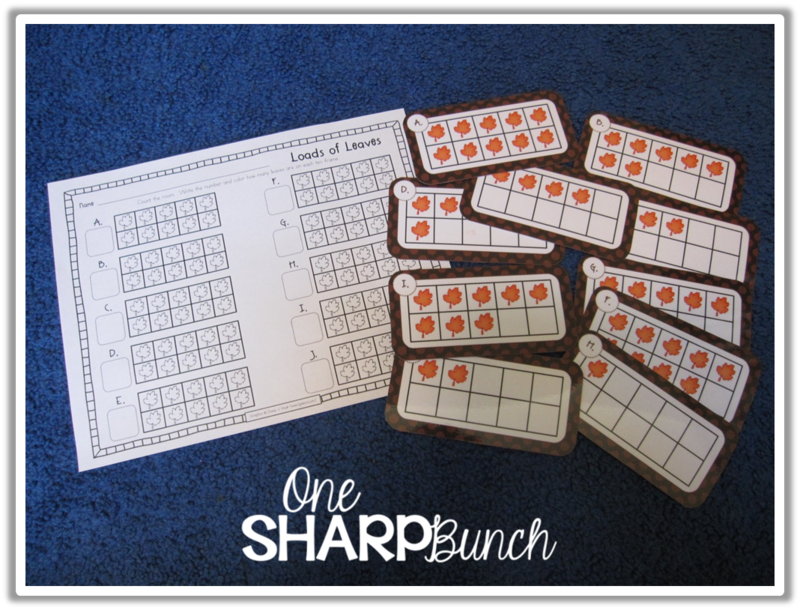 Students will count the leaves (or use subitizing skills), write the number, and color the ten frame to match. 1, 2, 3, Count on with Me: Simply roll the die and count on from that number! Feel free to use a dotted die, a number die, or a multiple sided die! 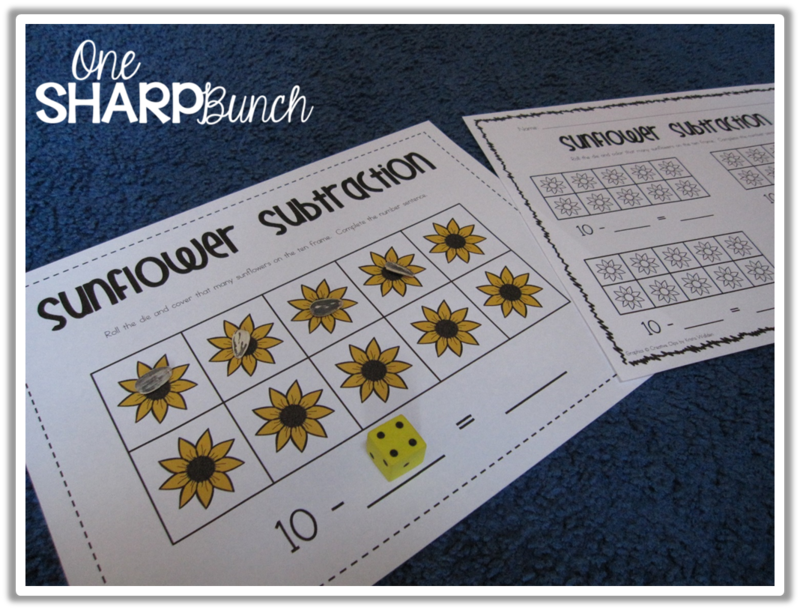 Sunflower Subtraction: Roll the die and cover that many sunflowers on the work mat. Then, color the response sheet and write the number sentence. For added fun, use sunflower seeds! 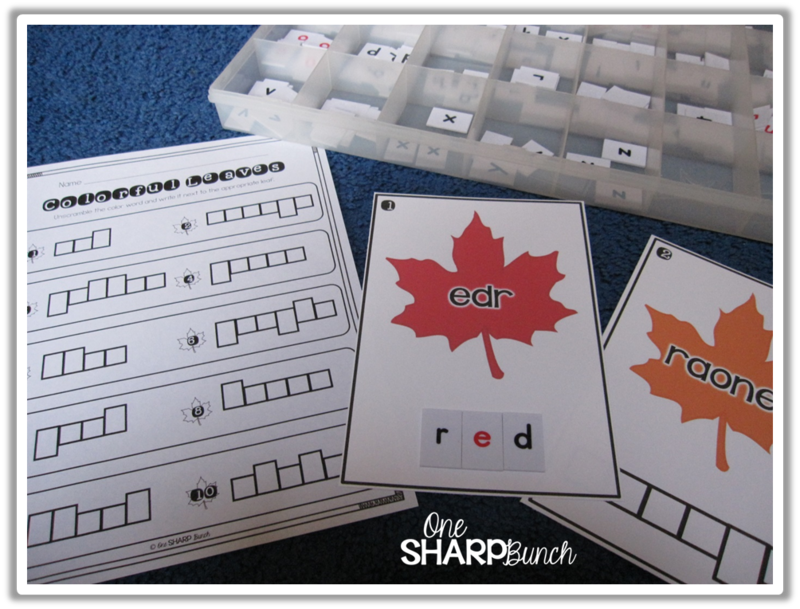 Colorful Leaves: Unscramble the color word using letter tiles, or a vis-à-vis marker! 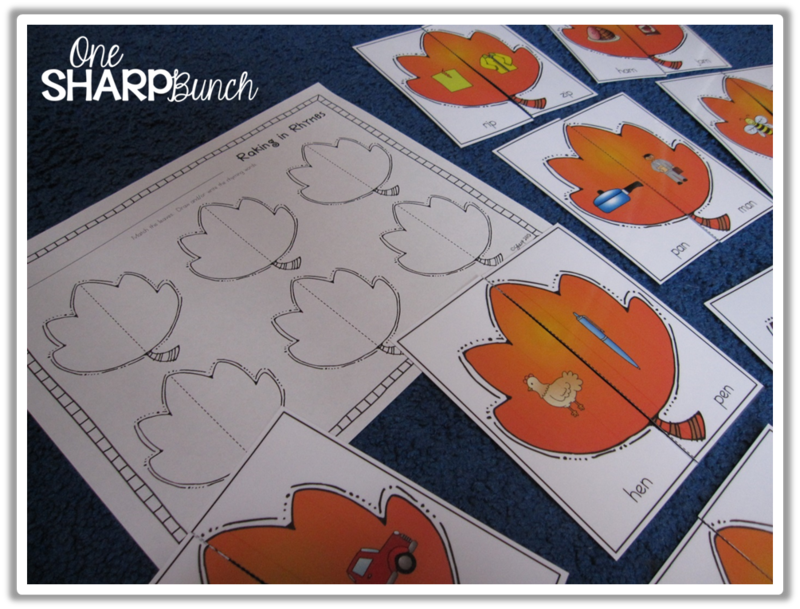 Raking in Rhymes: Match the leaf puzzle cards to make a rhyme. Draw and/or write the rhyme, or use the puzzle cards alone! 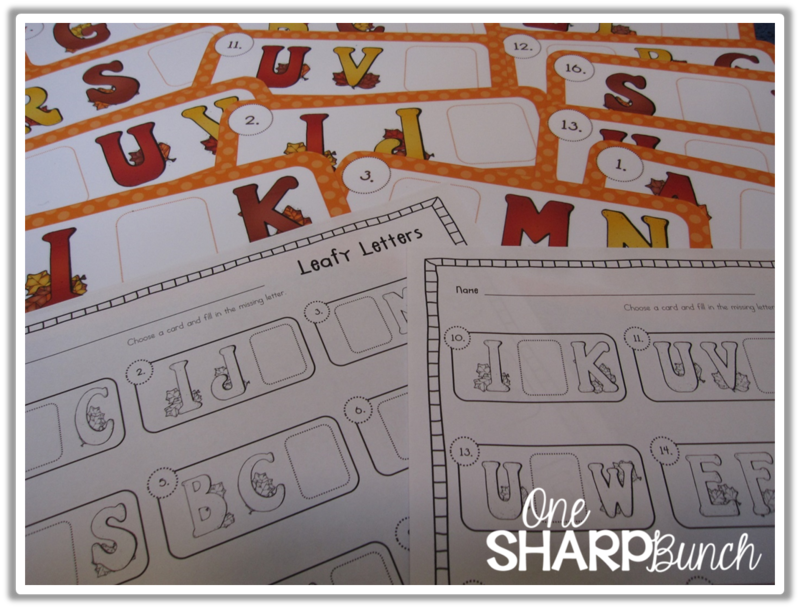 Leafy Letters: Write the missing letter, either on the work mat or on the response sheet, or use letter tiles or magnetic letters! My Fall Dictionary: Use the fall vocabulary cards to create a fall dictionary! The students can use the blank template to create their own dictionary, making sure to alphabetize the words. Illustrated pages are also included, so students simply write the appropriate vocabulary word on each page. 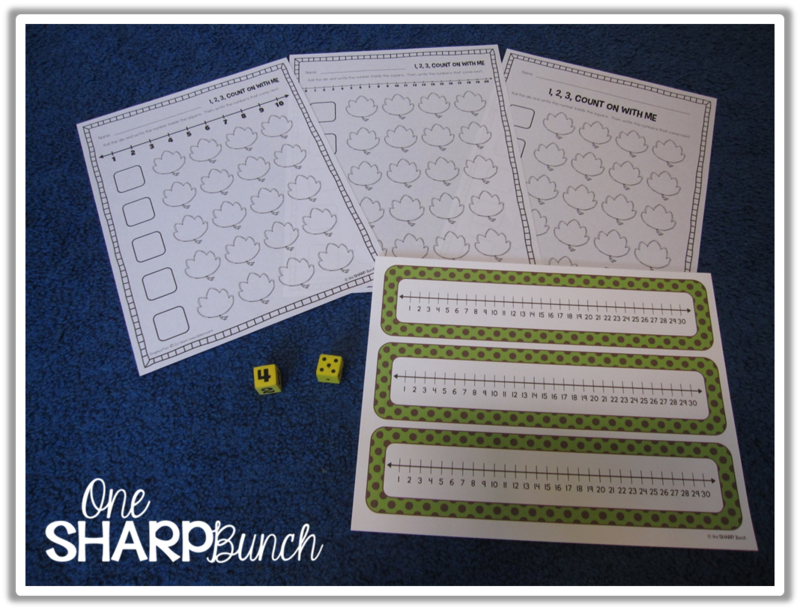 I am also in LOVE with the “Rake Five” math activity, but I totally forgot to bring home my double-sided math counters… I will try to snap a picture of this activity and some of the others for instagram this week! Now that I have this pack updated, I can’t wait for fall to begin! 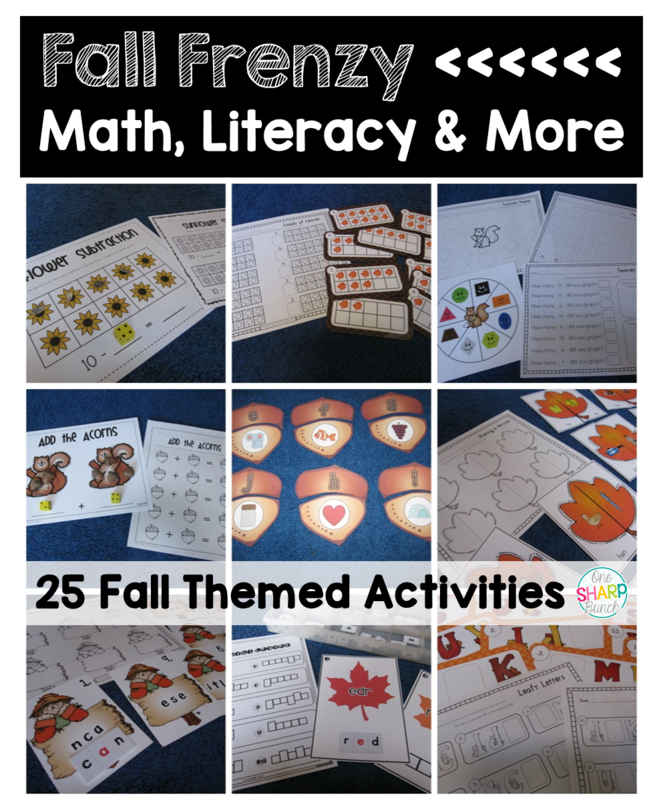 I usually save my Fall Frenzy pack for October, when the leaves are more colorful, but I know my kiddos will enjoy the new activities! 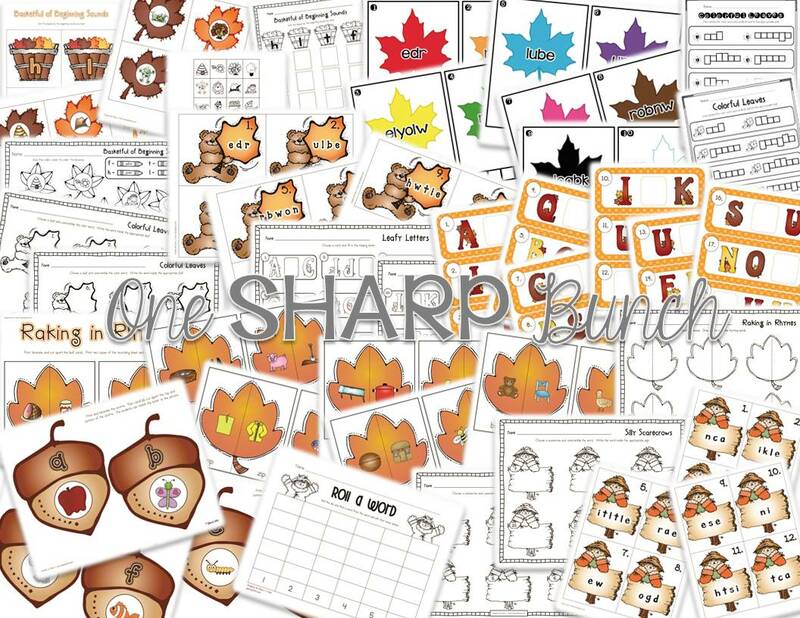 AND because I’m finally in the spirit of fall, I have a fall freebie for all of you! Head over to Comprehension Connection to check out more fabulous fall activities! Link up your own below! Thanks so much for linking up. I love the freebie and your fall pack. Have a happy Sunday! Thank YOU for hosting the blog hop! Please keep me posted on the other Thematic Thursday topics! I love your Fall Frenzy pack. 🙂 Wish I had little ones to use it with!!! Clearly you took a long time overhauling it because it LOOKS FABULOUS!! You are welcome! I hope your kiddos enjoy it! I love fall! Just discovered your blog via Instagram.